UNIQUE PIZZA & SUB COM USD0.001 (OTCMKTS:UPZS) is a franchising company that is starting to gain some traction. It franchises pizza and sub restaurants throughout the USA. In the last few months it has skyrocketed over 400% from $0.0023 all the way to $0.013. What has caused this company to reach a new 300 day high? It has been gaining attention and could be a huge winner. UNIQUE PIZZA & SUB COM USD0.001 (OTCMKTS:UPZS) was founded in 1991 where it started out as a pizza shop. James C. Vowler has been the owner, founder, and CEO started a pizza franchise in Pittsburgh when he decided there had to be something better. Mr. Vowler went on to start the Unique Pizza Factory to try and combine the quality of a mom-pop shop with a major franchise. PopsyCakes is a Florida based private company. 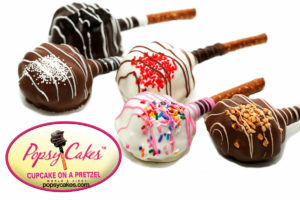 PopsyCakes is dubbed the first and the “Original” Cupcake on a Pretzel Stick. The PopsyCakes Company was founded by Jessica Cervantes when she decided to create an innovative cupcake on an edible stick in 2006 at the age of 16. Jessica is an immigrant from Cuba and won a national business plan competition. Her innovative creation caused significant buzz around the USA. According to a recent agreement, UPZS acquired 100% of the outstanding ownership rights, liabilities, intellectual properties, and copyrights and trademarks of PopsyCakes. The monetization path of PopsyCakes has been through mail order, airports gift shops, direct sales, candy stores, restaurants, Bar Mitzvahs (certified Kosher product), birthday parties, high end retail, whole sale, food brokers, corporate sales, wedding & party favors and fundraisers. 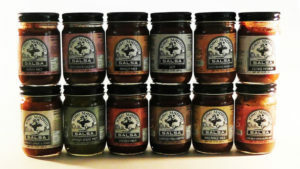 The goal of the acquisition will be to add PopsyCakes products to all of the Jose Madrid Salsa booths which reaches over 2 million potential additional customers. In addition, it is a natural fit for consumers who want a unique desert, after a unique pizza experience. This could potentially add significant revenues to UPZS and help its bottom and topline. Another string of changes was in August of 2015 where UPZS signed a master franchisee for Southern California with Unique Worldwide, LLC. The agreement states and requires Unique Worldwide to develop a minimum of 38 company and or franchised locations within their territory over the next 10 years. This leads to their 3rd product line of Unique Pizza Brewhouse and makes this a reality that should be launching soon. UPZS is building the foundation to grow. It has now grown from 1 to 4 wholly-owned subsisdairies and on the path for explosive growth. Imagine getting the chance to invest in a large restaurant franchise like BJs Restaurants…this could be the next big thing. The initial term is ten years with renewal on a two to five year term basis. There is a $1,000 additional fee for renewal. Ongoing fees are a weekly royalty fee of 5% of gross sales and an advertising fee of 3% of monthly gross sales. Currently trading at a tiny market valuation UPZS has minimal assets manageable debt. The stock is has skyrocketed up in recent months quickly establishing itself as a price gainer on the OTCB. This is an exciting story in small caps; the UNIQUE PIZZA & SUB looks to have a number of exciting projects in the works and UPZS has got everyone’s attention with ready liquidity, massive volatility and new shareholders bidding it higher. We will be updating on UPZS when more details emerge so make sure you are subscribed to MicroCap Spot so you know what’s going on with UPZS. Disclosure: we hold no position in UPZS either long or short and we have not been compensated for this article.